I voluntarily gave up my name in 1992. It was an act of convenience, nothing more. 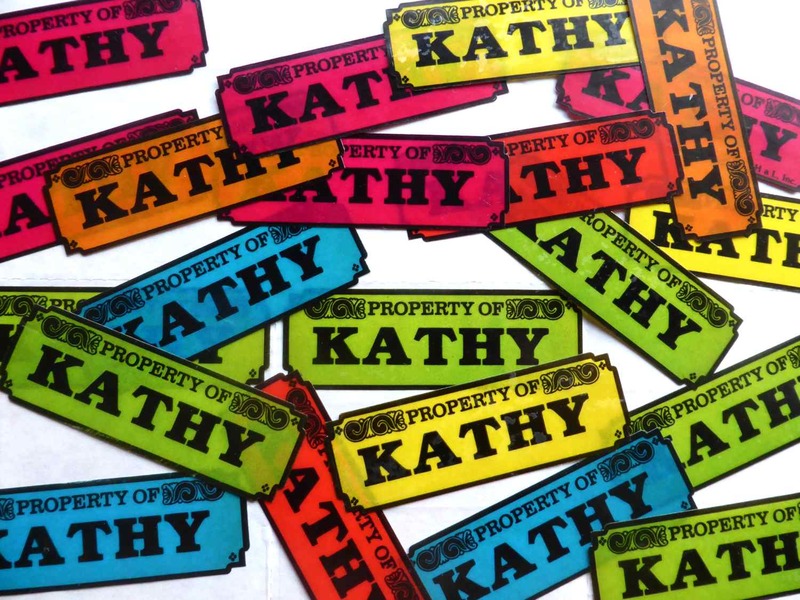 Until that year, everyone called me Kathy. Well, everyone except my bubby, who would say “Kathryn Mavourneen!! !”* as she squeezed my cheeks hard, in that grandmotherly way. I had started working on a kids’ television show as assistant director, sitting in a control room all day – alongside the switcher and director – while communicating over the intercom with the rest of the crew in the studio next door. The floor manager, who acts as liaison between the studio and control room, also happened to be named Kathy. A Kathy in the control room and Kathy on the studio floor was simply not feasible, only a recipe for confusion. Being younger, I offered to give up my name, returning to the full given name of my birth, Kathryn. Of course, those who already knew me as Kathy found it hard to start calling me something else, and family and pre-1992 friends still, to this day, sometimes call me Kathy out of habit, unless they’re introducing me to someone new. I don’t mind too much, even though I’ve never really felt like a “Kathy,” chatty** or otherwise. * Until today, both my mother and I had always assumed that “mavourneen” was a Yiddish term of endearment. Only when I started researching it, did I realize there’s in fact no such Yiddish word. As it turns out, all along, my late grandmother had been very likely referencing a song written in 1837, probably this Nelson Eddy version, since according to my mom, bubby was a big fan of his. Apparently, “mavourneen” is a term of endearment derived from the Irish Gaelic mo mhuirnín, meaning “my beloved.” Who knew? ** Until Googling during the writing of this post, I had no idea that Chatty Cathy was actually a talking doll from the 1960s. I learned a lot today. Whether verbal or spoken, I think Kathy just takes less efforts to write/speak. 😀 That must be why some prefer it over Kathryn. You can’t really shorten my name although sometimes people will call me “Rach” and when I don’t know them very well I’m always a bit taken aback. However I find myself more shocked when people shorten my children’s names. How dare they?! Thanks for the info on Mavourneen – one of my hobbies is genealogy, and I have a distant relative who recently passed that was named Kathleen Mavourneen (Lastname). She was born in 1916, and her mom (which would be where the Irish side came from) lived from 1886-1972 and would fit the timeframe of the popularity of that song. I was always Chrissie, but when I wrote professionally, people would publish me as Chris. Maybe Chrissie didn’t seem professional? Drove me batty, though. I would do all the work, and people would come up and congratulate my husband, Chris. That’s when I started writing under the name Christine. I still that’s unfair, though.